Every Data Acquisition Process System (DAP) system starts with a data acquisition board and adds signal interface (SI) modules that follow specific channel architecture. Several DAP boards along with combination of various other support boards can work together as a single, synchronized, standalone and/or PC-based system. Some simple DAP systems will have only a handful of inputs and outputs; others may have many more. A multi-DAP system potentially may have several hundreds of analog and digital inputs and outputs. Whatever the case, the signals have to connect somewhere and the information has to be stored/processed accordingly. CoiNel has designed DAQ cards for its customers with backplane interfaces with many complex input and output connectivity interfaces. We have designed various signal interface modules that can communicate with main DAP module which includes but not limited to simple termination, simple multiplexing, anti-alias filtering, simultaneous sampling, isolation, counter/timer, quadrature-decoder and signal conditioning. The number and speed of inputs and outputs, the mix of analog and digital signals, and termination choices – as well as, to the extent that your application demands can be designed by our engineers. Our design team can confirm suitable channel architecture and overall signal configuration for your design needs. 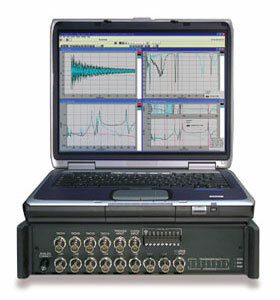 Software for Data Acquisition Processor systems runs on both the Data Acquisition Processor itself and on the host PC. Software, including third party or custom software can be developed on demand. The data loggers designed by CoiNel have had interface communication through serial, CAN, USB, Ethernet and wireless. We have worked with the customers and have designed hardware that communicates with the PC software designed using LabVIEW, MATLAB, DASYlab and Agilent VEE We also designed custom software and HMI required for data acquisition.